Each year, millions of Americans have their wisdom teeth removed. The vast majority of patients heal flawlessly, with little discomfort and swelling, thankful impacted or painful wisdom teeth are no longer a daily woe. However, a small percentage of patients experience dry socket (alveolar osteitis) – the most common complication following tooth extractions and one that may be avoided by following expert recommendations. 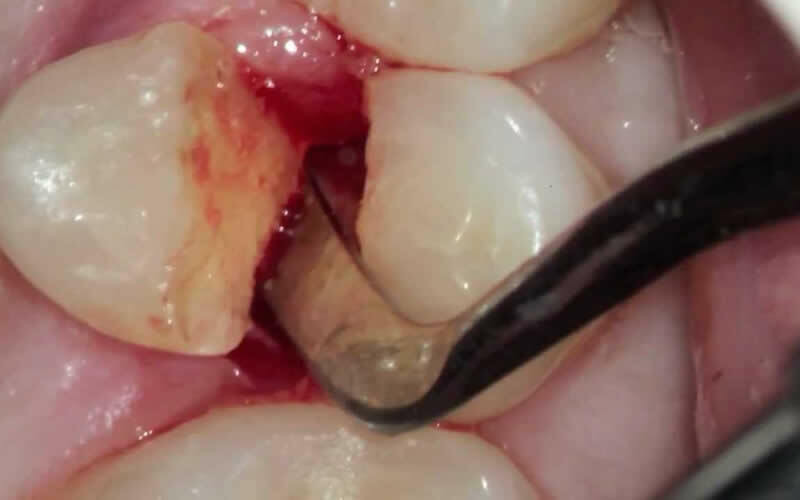 Dry socket is a painful condition that occurs when newly formed blood clots at the site of the tooth extraction do not develop correctly or are prematurely lost. Dry socket delays the healing process, much like picking at a scab on the knee delays the growth of new skin. Research confirms that risk factors including smoking, taking oral contraceptives and insufficient oral health care habits significantly increase one’s likelihood of dry socket, according to Jamie Houston, DMD, lead author of an article in the September/October 2002 issue of General Dentistry, the clinical, peer-reviewed journal of the Academy of General Dentistry. “Stop smoking for at least 24 hours after wisdom-teeth extractions. This is critical to preventing dry socket,” says AGD spokesperson E. Mac Edington, DDS, MAGD, ABGD. Smoking decreases the blood supply to the protective blood clots, brings toxic products to the area decreasing healing, and the negative pressure of sucking can pull out a newly formed blood clot. Studies show that high levels of estrogen found in the first 22 days of the menstrual cycle and in many oral contraceptives can double a woman’s chance of developing dry socket. Dr. Edington recommends that all female patients on oral contraceptives schedule tooth extractions during days 23 to 28 of their menstrual cycle to reduce this risk. After wisdom teeth extraction, increased commitment to proper oral healthcare and nutrition helps reduce one’s risk of dry socket. This includes not eating any food with residuals (popcorn, peanuts and pasta) three to four days following the procedure. Eating soft foods such as mashed potatoes, clear soup and pudding helps ensure food particles do not interfere with the normal formation and healing of the blood clots. Avoid spitting, sucking on a straw and drinking carbonated soft drinks for two to three days following the procedure. Gently brush adjacent teeth and rinse with salt water after meals to keep the mouth free of excess bacteria. Talk to your dentist about all medications you’re taking, including oral contraceptives, aspirin and herbal supplements.